Above: Ben leading "666" grade 17 on the Back Wall. Above: Unknown climber on Bowler Boulder. Above: Kent top roping Fritz And The Cyclops, grade 24. Above: Unknown climber leading Lofty Odours, grade 21 on the Wall Of Fools. 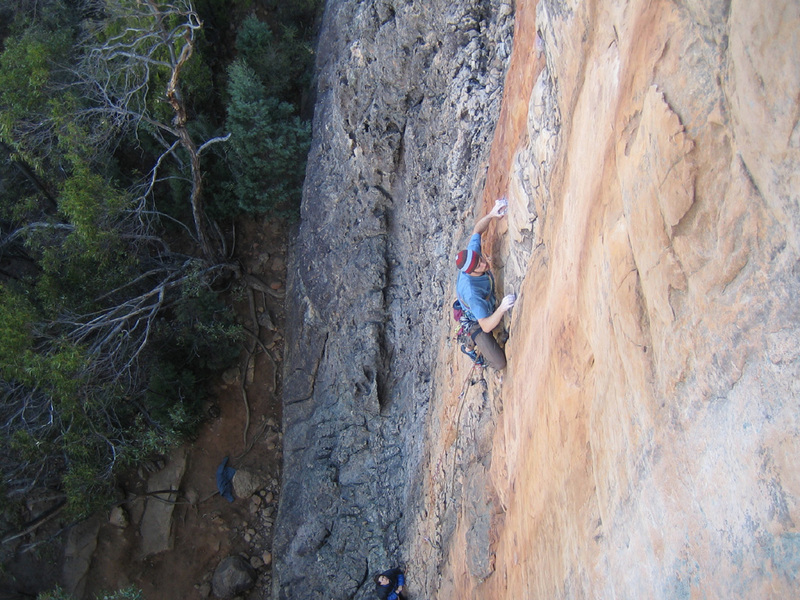 Above: Michael leading Overkill, grade 17, Back Wall. 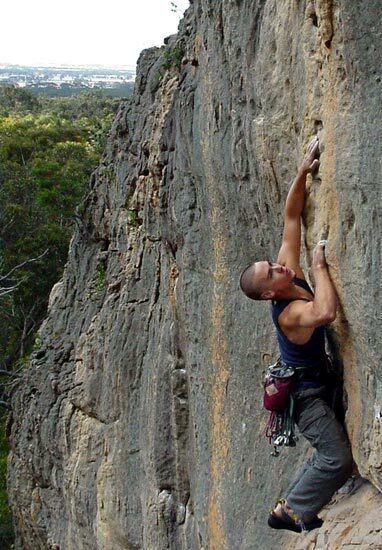 Climber at the ever popular Summer Day Valley in the Grampians cruises up "Lofty Odours", grade 21 just right of the crag's dominant roof. The route, sometimes done in two pitches, diverts left into a cave, then right again following the arête. Above Left: Lee leading Overkill (17) on the Back Wall. 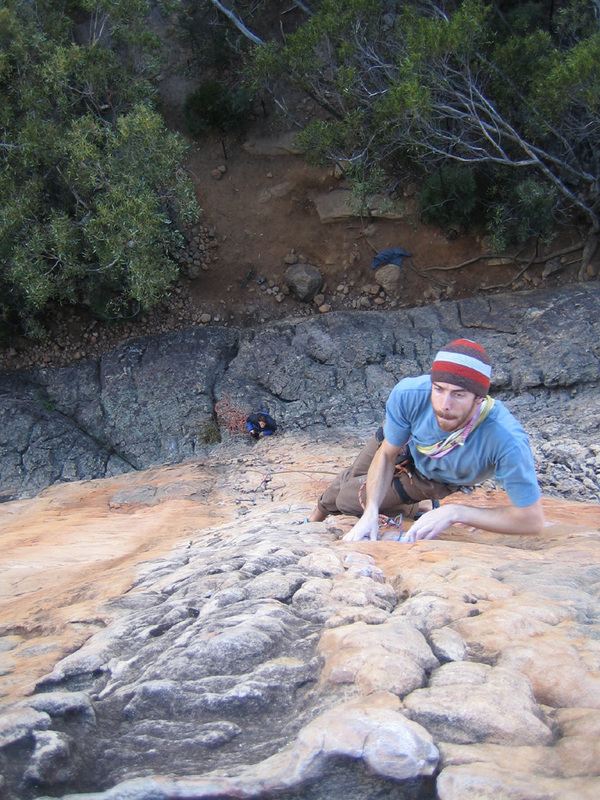 Above: Dave Ferguson on the ever popular clasic Soweto 21, Wall of Fools.